Blossoming Amaryllis drawn with the bulb. The beauty of this flower is captivating. 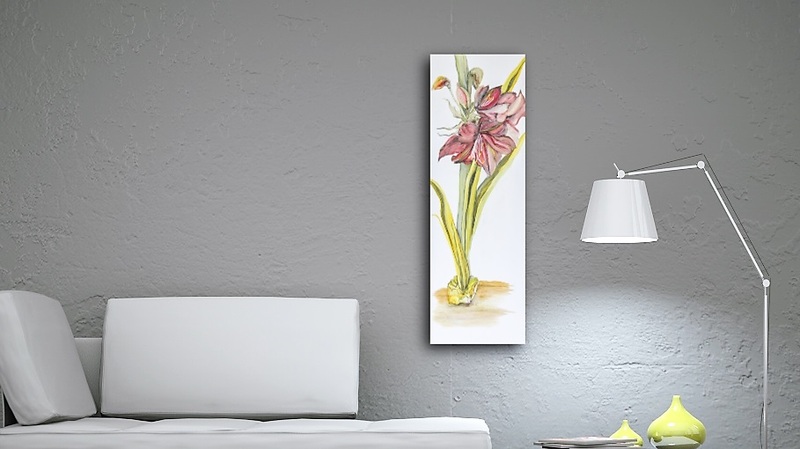 The Amaryllis is hardy yet graceful. 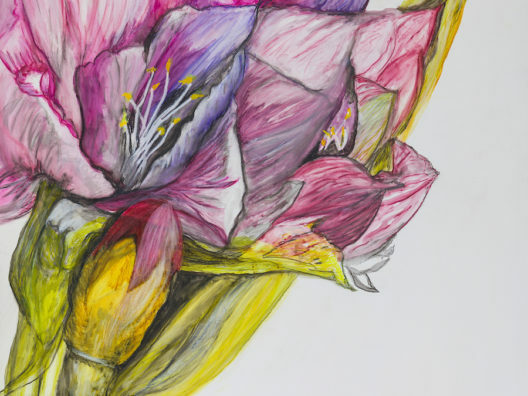 I find it to be a great study of drawing floral detail and color. Colored Pencil and protective varnish on archival Gesso-bord. 12 x 36 x 1.5. Completely light-fast and ready to hang.